GeoAfrika is a multidisciplinary surveying company specialising in providing accurate information and efficient survey solutions for the Built Environment. The company uses sophisticated technology and offers specialised technical expertise across a range of geomatics disciplines, but their core business is land rights, and survey management for large-scale infrastructure projects. 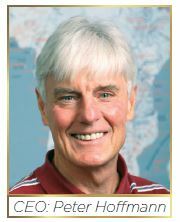 Founded in the 1980s, by John Manning and Peter Hoffman, GeoAfrika operates throughout southern Africa, and has completed projects in Nigeria, Mali, Ethiopia, Kenya and the United Kingdom. With a staff complement of 175 employees in Durban and Centurion, GeoAfrika is committed to innovation and transformation through investment in technology and people. "We pride ourselves on delivering reliable, innovative, professional solutions to our clients." says CEO Peter Hoffman, "and the work we do matters. It has a positive impact on people, communities and the country. Ultimately, our work gives people a better life." So, it is unsurprising that professionalism, ethics and integrity are keywords at MHP Geomatics, and form the basis of the strong company culture. There is a strong focus on transformation, and they take great pride in being the most transformed surveying company in South Africa, and not just the largest. GeoAfrika has provided bursaries to young, black land surveying students for more than 30 years, and also offers new graduates the opportunity to complete their articles at GeoAfrika. This created transformation long before it was a B-BBEE imperative, and has formed the basis for a strong, diversified professional team. The company has an impressive list of clients, including Transnet, Tongaat Hulett, SANRAL, eThekwini Municipality, Eskom, Illovo, Daimler, Leisure Club, AECOM and the Department of Human Settlements, among others. Topographical Surveys - These determine the contours and terrain of a site and identify existing site features and important services including above ground services such as lamp poles and pavements and below ground services such as drainage and communication network pipes. GeoAfrika are specialists in long distance strip topographical surveys along transportation networks and for routing of new bulk services. Construction Supervisory Surveys - Ongoing survey checks during the construction process ensure compliance with regulations and protect the client and the design team. Engineering Survey Consulting - GeoAfrika has extensive experience in engineering surveying and also assist in procuring quantity survey services and providing quality assessment frameworks. Laser Scanning - GeoAfrika has broad expertise in the laser scanning and 3d modelling of industrial plants, sugar mills, pump stations, fuel depots and transportation infrastructure. Aerial Surveys - These provide crucial datasets for planning and development of large-scale project areas, and specialised technology has made complete aerial datasets more accessible to smaller projects too. Mobile Mapping - GeoAfrika has applied mobile mapping along transportation routes to improve safety, accuracy and speed of data capture. Land Rights Surveys - These include diagrams that define freehold boundaries, servitude rights, leasehold rights and mineral rights. Sectional Title Surveys - This is a vital service for historical conversions to sectional title and new developments. Development Planning - Through the GeoAfrika Group, GeoAfrika collaborates and consults on all aspects of developmental work including planning, surveying, project management and conveyancing. GeoAfrika Surveys specialises in the efficient capture, analysis and representation of spatial data for use throughout the development process. With a core focus on land rights and management, the division has also developed focused, specialised expertise in technical fields like engineering surveying, laser scanning and drone services. 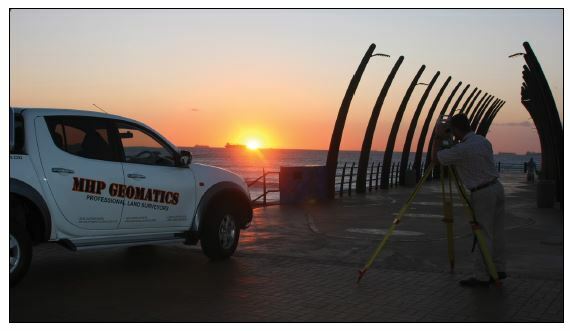 GeoAfrika Surveys is experienced at both large-scale infrastructure projects and smaller-scale developments, and is a Level 1 B-BBEE Service Provider. As a division, GeoAfrika Surveys has a project footprint that spans across Southern Africa, as well as Nigeria, Mali, Ethiopia, Kenya and the United Kingdom. With a team of senior surveyors boasting over 25 years of experience, there are very few challenges the team hasn't faced and solved themselves. This on-the-ground expertise is complemented by a focus on best leveraging new technologies, with the division continually pioneering new uses of survey technology in the local context. GeoAfrika Technologies is a leading Geographic Information System (GIS) company with a focus on both geospatial solutions and app development. Having completed several hundred GIS projects over the past two decades, the team has invaluable experience across sectors including property development, transportation, water, health, economic development, and development planning and housing. As a division, GeoAfrika Technologies custom-develops information systems for clients using a combination of technologies, such as GIS, GPS, remote sensing and app development environments. This range of internet-based systems tracks and records the workflow of clients and projects throughout multiple development stages. With this accurate, centralised data at hand, professionals across the legal, financial, survey, valuation, environmental and construction spheres are able to do their jobs with greater certainty. As a long-term benefit, by linking spatial information to big data, the division is able to help businesses make better decisions, with greater efficiency, leading to enhanced income generation. GeoAfrika Property Management extends the group's expertise in built environment services into the areas of facility and property management. The division's offering encompasses everything related to the running of properties to ensure the client's investment is maintained and maximised over time. With experience from large-scale regional buildings to private townhouse units, GeoAfrika Property Management is able to customise solutions based on individual client requirements, all through an innovative digital platform. GeoAfrika Property Management ensures efficient and seamless management through its digitally-based Building Information Modelling (BIM) system. This allows systematic control and management through an online portal, ensuring aspects such as air-conditioning, fire detection, access control, electrical reticulation and generator supply are regularly maintained in line with service schedules. It also allows for the recording and timely resolution of faults, ultimately resulting in significant cost savings in the long term. As the GeoAfrika group's attorneys, HSG provides focused legal solutions throughout the development process. Established in 1990, the firm was the first specialist environmental law company in the country and has extensive experience in the land-legal sector. Operating closely alongside the GeoAfrika team, HSG is able to provide seamless legal support as needed, which makes the entire process more efficient for clients. By working in association with the GeoAfrika divisions, HSG is able to provide informed, effective legal advice with the bigger development picture in mind. Legal issues have the potential to arise at any stage in the development, so involving a legal specialist upfront removes uncertainty during the process and ensures that developments are able to proceed with clarity, mitigating risk and reducing cost in the long run.